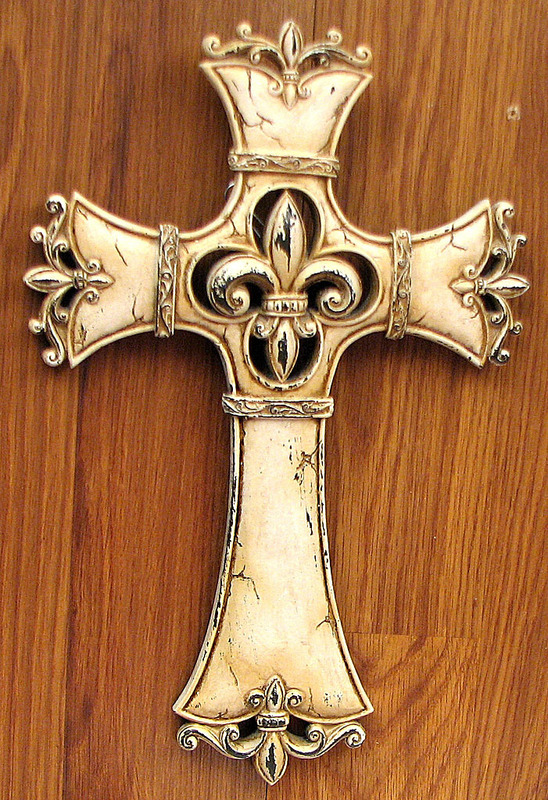 Measures: Medium wood look whitewashed Fleur De Lis Cross. 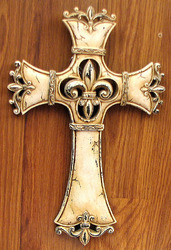 Great decorator item with Fleur De Lis in center and all 4 points. Measures: 13 1/2" T. x 9" W x 1" D.